High School Musical cast proves that 'We’re all in this together.' Show open in three weeks. "We’re all in this together!" Ever since the High School Musical movies were released this phrase has sparked sing-alongs and dance numbers. 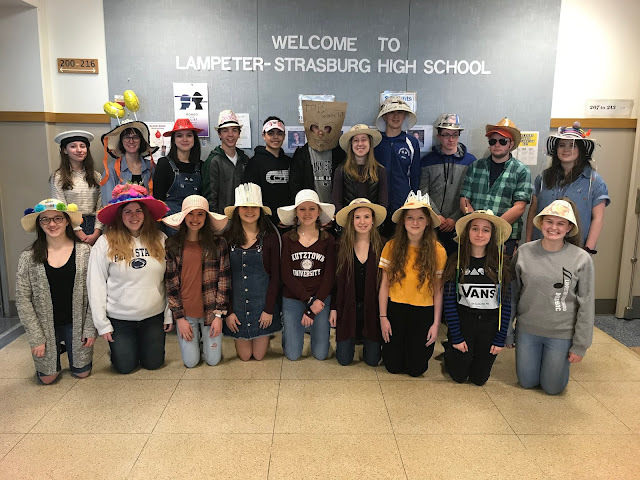 With 100 students and staff involved in making Lampeter-Strasburg Thespian Society’s production of High School Musical come together that reality is no different, but the phrase also comes to have a new meaning. 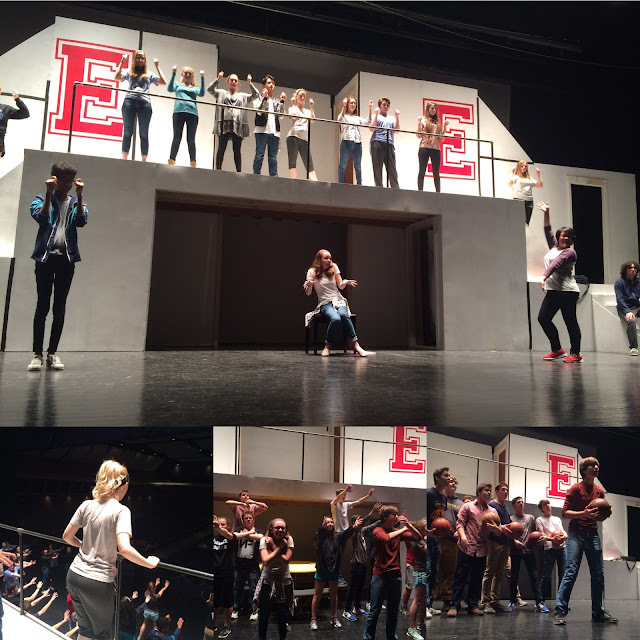 The show opens in three week on Thursday, March 2 and according to freshman Arylissa Diaz, "High School Musical is in fantastic shape. We have finished all the choreography and blocking for Act 1 and we are currently reviewing and working on act 2." 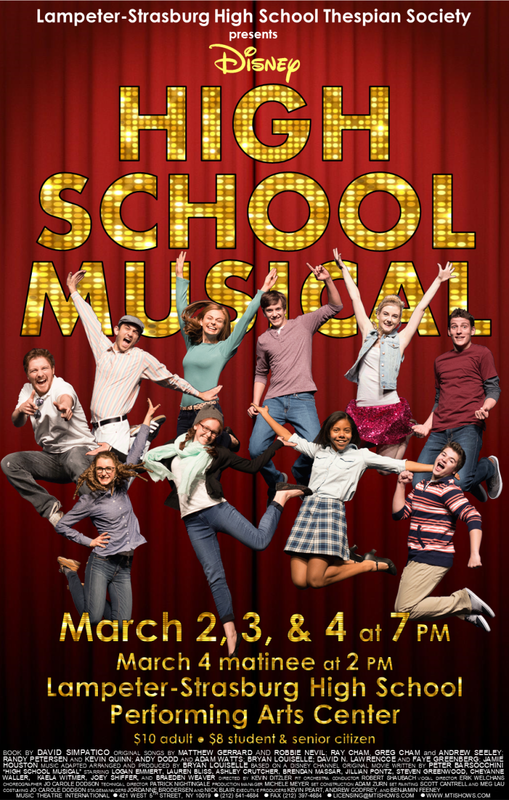 Read about the creation of the L-S High School Musical poster. Since winter break ended, the production process for High School Musical has been in full swing. 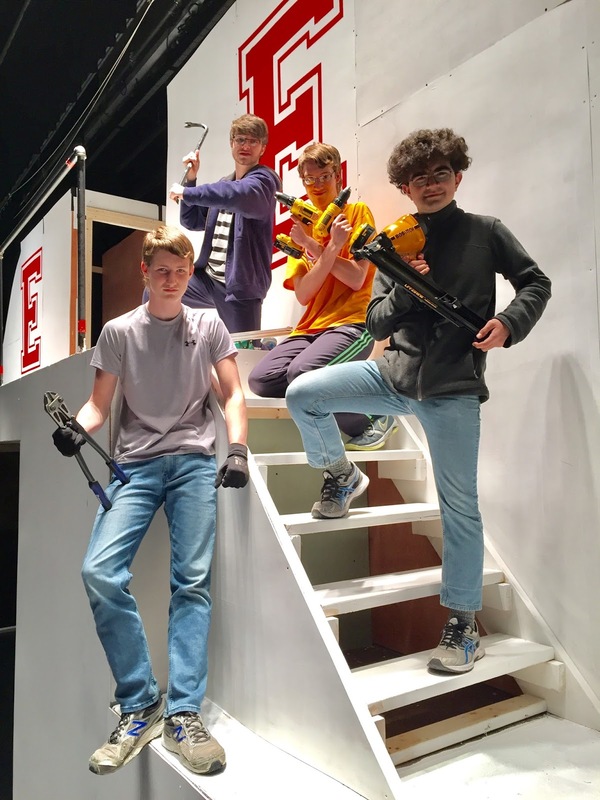 Actors have been at rehearsal five days a week for two to three hours a day memorizing lines, lyrics, blocking, and choreography under the direction of Mr. Kevin Ditzler, Mr. Erik Welchans, and Mrs. Jo Carole Dodson. Diaz said that this show "involves a lot of dancing and movement, so it is essential to keep up and review the choreography." The Mr. Robert Shaubach has had pit band rehearsing a several times a week, perfecting the score. The set is nearly built. Construction lead by Mr. Adam Zurn with a team of student builders have erected a mammoth two story tall, 48 foot long structure in about five weeks with the goal of transporting the audience to East High School, home of High School Musical. Diaz said, "Adjustments over the past few weeks have been made to the set including sliding it back four feet to give the 60 member cast more space on stage." You can read more about the construction of the set here. With this coat of primer, the set is nearing completion. 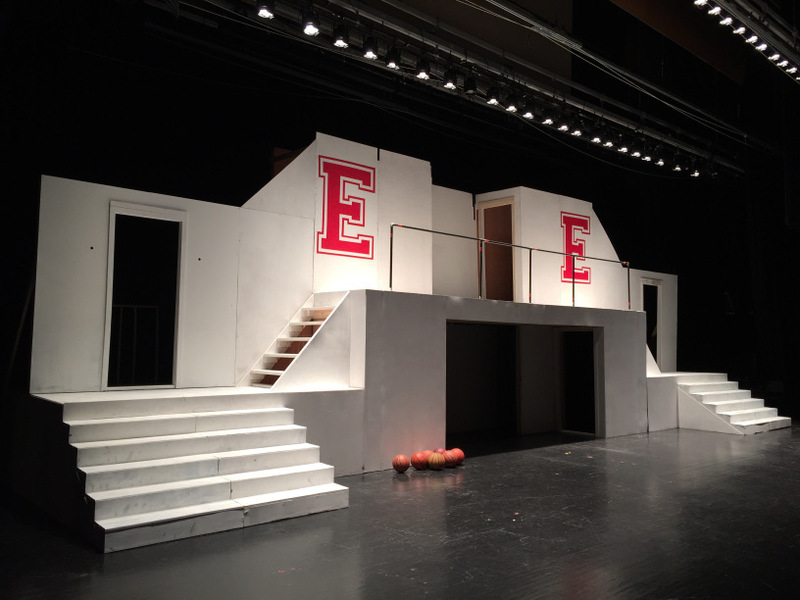 Currently, the set is in the process of being painted. 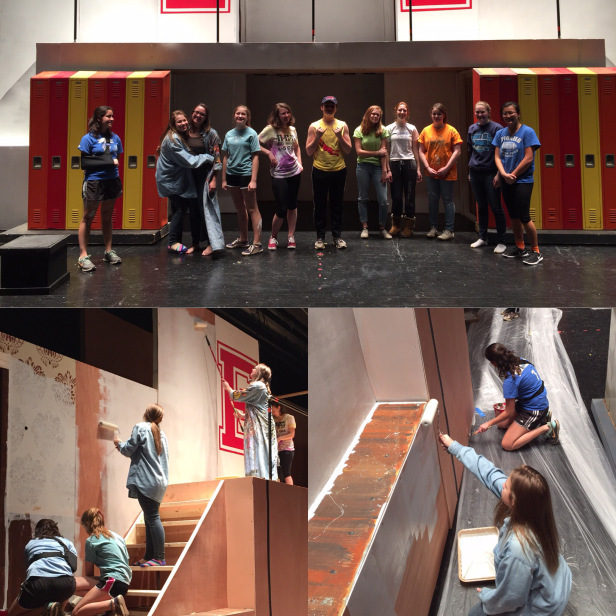 Two weeks ago, a small army of student painters lead by Mr. Scott Cantrell and Mrs. Meg Lau primed the set in preparation for this coming weekend's finishing paint job. Diaz, said, "The set is really beginning to create the illusion that the cast is inside a high school, and it looks great!" Stage managers--Jordanne Brodersen and Nick Blair--have been juggling the cast’s schedules and assembled a crew that will soon begin perfecting their own unique choreography. Lighting is being designed by Mr. Patrick Nightingale and his tech crew along with other technical aspects of the show. Dodson in addition to doing choreography has been busy helping the students gather costumes. "Costumes have begun to piece together, and they are looking good." said Diaz. Everyone is hard at work, but there is still a long way to go. Many students find the hard work fun. In fact, according to Diaz, "I look forward to rehearsal. It keeps me excited through the long school day." Every element of the show has to be fully functioning in order for the entire performance to come together. The actors need the set crew to help transport them to an entirely different world. Without the painting crew, the lights wouldn’t look right on the set. Without the director and choreographer the actors wouldn’t know where to be and when. This year's student build team. Producing a show is a delicate balance of all these different elements. If one part of the ship hits an iceberg, it takes the rest of the ship with it. This is what is so amazing about the world of live theatre. It teaches everyone involved valuable life lessons. Communication, patience, hard work, commitment, time management, and most importantly collaboration just begin to scratch the surface of what theatre teaches those involved. In theatre, we really are all in this together. 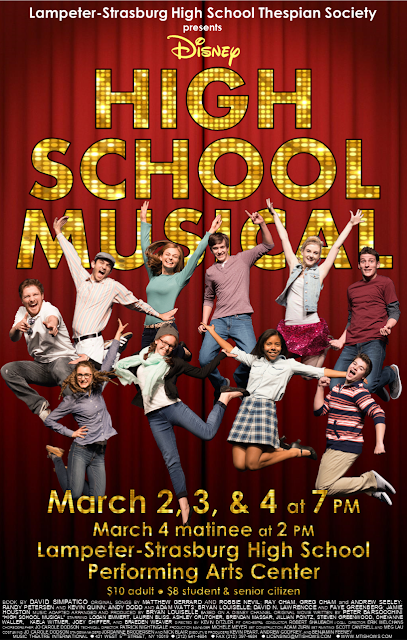 High School Musical is entertaining for all ages, so bring the whole family! The show runs March 2, 3, and 4 at 7 pm. There is also an matinee on Saturday, March 4 at 2 pm. Tickets go on sale in the high school main office on Tuesday, February 21.